Most shops are open Monday to Saturday: 10am - 8pm and 1 hour later on Fridays. This shopping center was built in the post war era between 1963 and 1965. 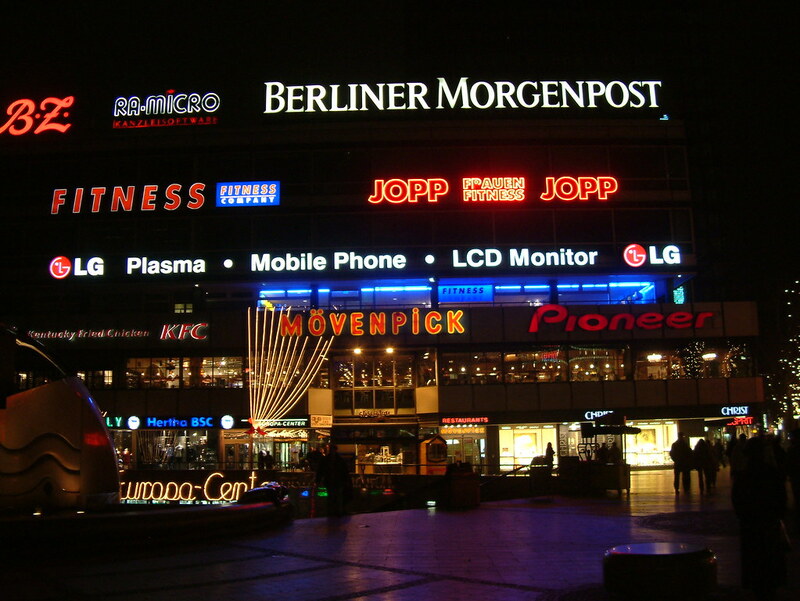 It was one of the first shopping malls of its type and the only one in Berlin at that time. As a consequence, it became very popular with Berliners and tourists. It once even boasted an ice-skating rink and was completely air-conditioned. 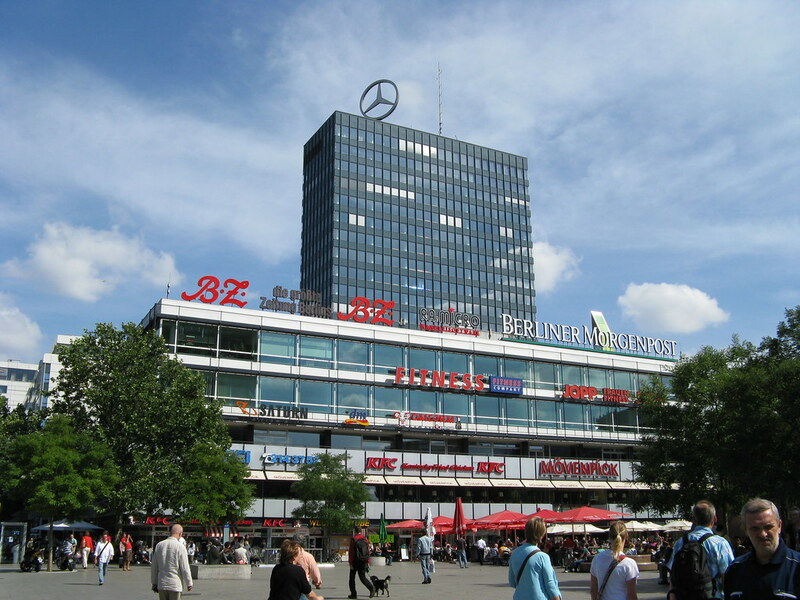 It is centrally located on Breitscheidplatz near the western center of Berlin and is surround by historical sites such as the Kaiser Wilhelm Memorial Church. Today it still offers a wide range of goods for the shopper including a multitude of stores, eating places, business offices, a tourist center and bars. There is also a heliport on the roof, which takes tourists on quick flights around Berlin. 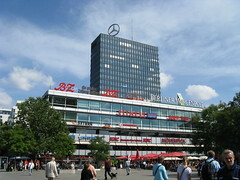 On top of its roof is also the prominent Mercedes Benz rotating icon, which can be seen from many parts of Berlin. 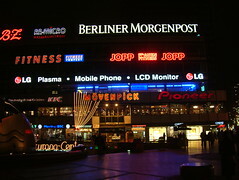 Berliners and tourists use the Mall as a meeting place, shopping precinct and entertainment venue. 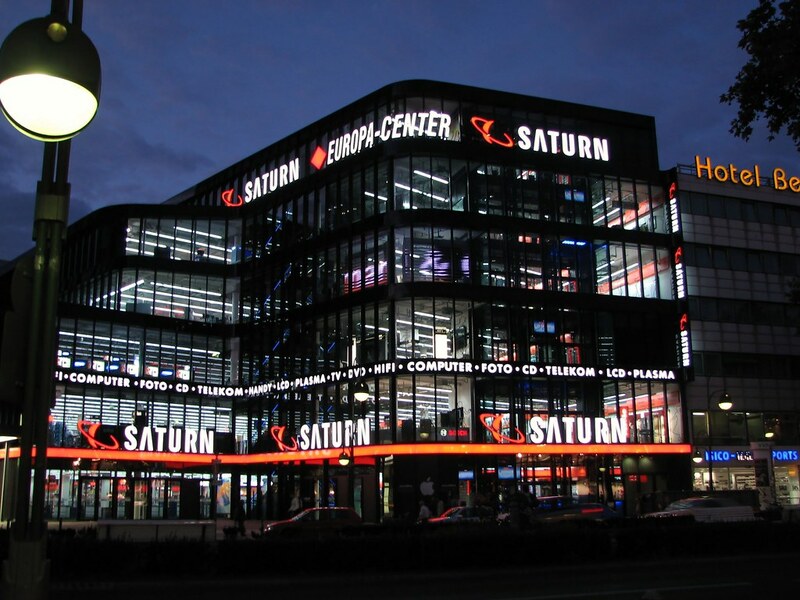 Be the first to write a review about the Europa Center! See below for more information. 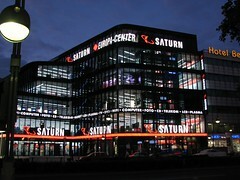 Have you already visited the Europa Center? If so, let everyone know what you thought about it by writing a review! No registration necessary. Just click here to start writing! View all Europa Center Pictures.